Microsoft founder Bill Gates has lost his position as the world’s richest man to Amazon chief executive officer Jeff Bezos. 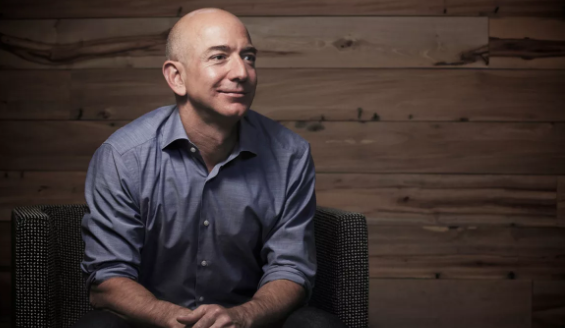 According to Forbes, Bezos’ net worth was estimated at $90.6 billion as at Thursday morning when he gained $1.4 billion in the stock market. His new net worth makes him $500 million richer than Gates. Bezos is the seventh person to hold the title of the world’s richest person. The Amazon CEO’s first feature on the Forbes 400 list was in 1998, a year after his company went public. Bezos was ranked third richest in the world on Forbes 2017 list of the world’s billionaires. At the time, he had a fortune of $72.8 billion. Bezos was only able to dethrone Gates as a result of the philanthropic efforts of the Microsoft founder. Gates had reportedly given $31.1 billion to charity as at the end of 2016. The last person to surpass Gates on Forbes’ world’s richest ranking was Spanish retail giant Amancio Ortega. The personal fortune of Ortega was boosted as shares of Inditex, parent company to Zara, Massimo Dutti and Pull&Bear, rose by 2.5%. Following the spike, his net worth had risen from $77.8 billion to $79.5 billion.